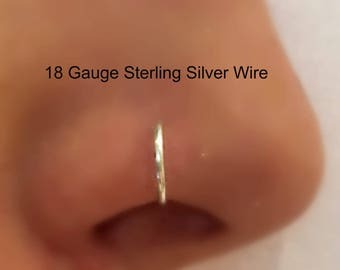 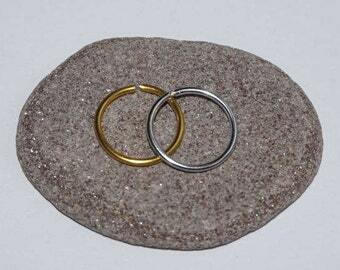 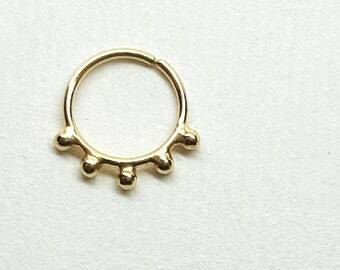 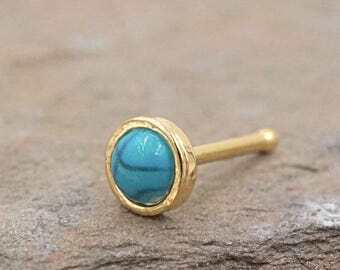 14k Solid Yellow Gold Ultimate Nose Ring Hoop Stud..18g.Or 20g...7mm..1.2mm cz's BEAUTIFUL !!!!!! 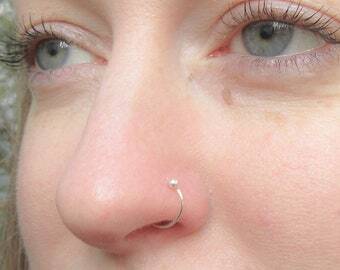 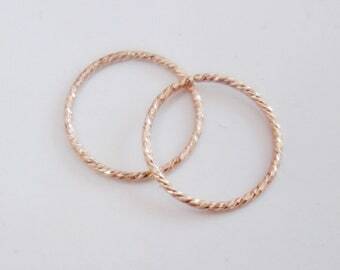 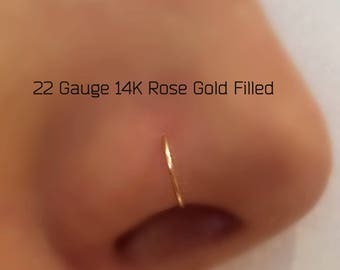 24,22,20 Gauge Rose Gold / Rose Gold Fill Nose Ring, Thin 24 gauge,Small Rose Gold Nose Hoop. 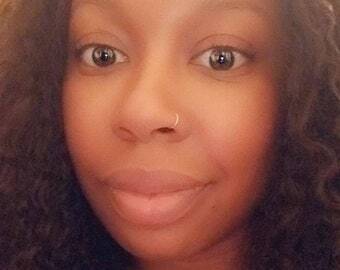 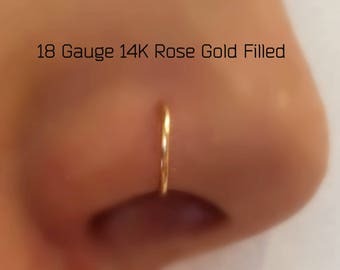 18 Gauge Rose Gold / Rose Gold Fill Nose Ring, Fake nose ring. 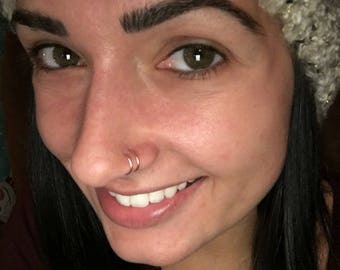 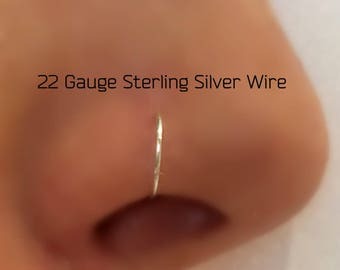 24,22,20 Gauge Rose Gold / Gold Fill /Sterling Silver Nose Ring, Thin 24 gauge,Small Rose Gold Nose Hoop.